Pundarika Vidyanidhi was a disciple of Madhavendra Puri and was the guru of Sri Gadadhara Pandita. Pundarika Vidyanidhi was sometimes misunderstood to be attached to material pleasures, but in reality he was an ecstatic devotee of Krishna. In Krishna's pastimes he was Vrishabhanu, the father of Srimati Radharani. 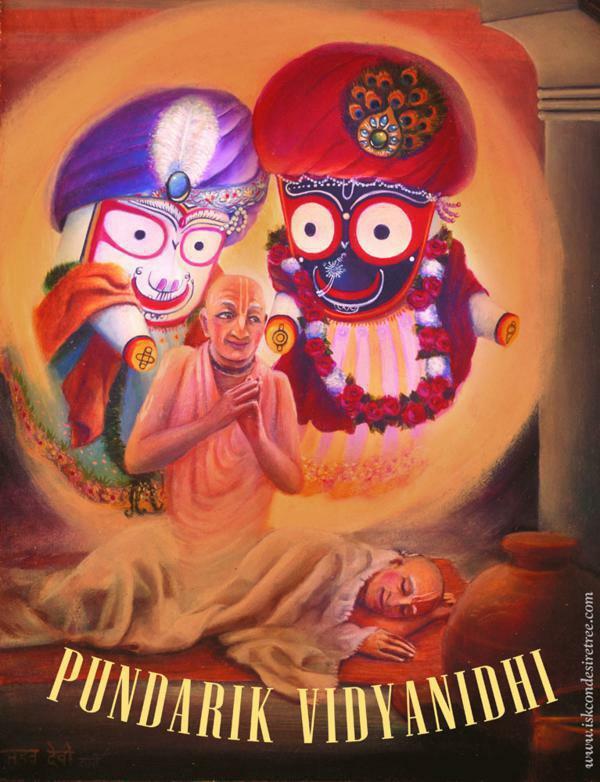 Pictured at right is a painting of Pundarika Vidyanidhi being slapped by Lord Jagannath and Lord Baladeva in a dream.